Schmitt, M.R, Redi, J.A, & Cesar Garcia, P.S. (2016). 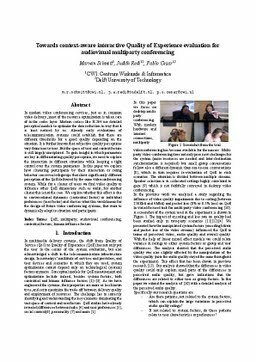 Towards context-aware interactive Quality of Experience evaluation for audiovisual multiparty conferencing. In Perceptual Quality of Systems. ISCA.